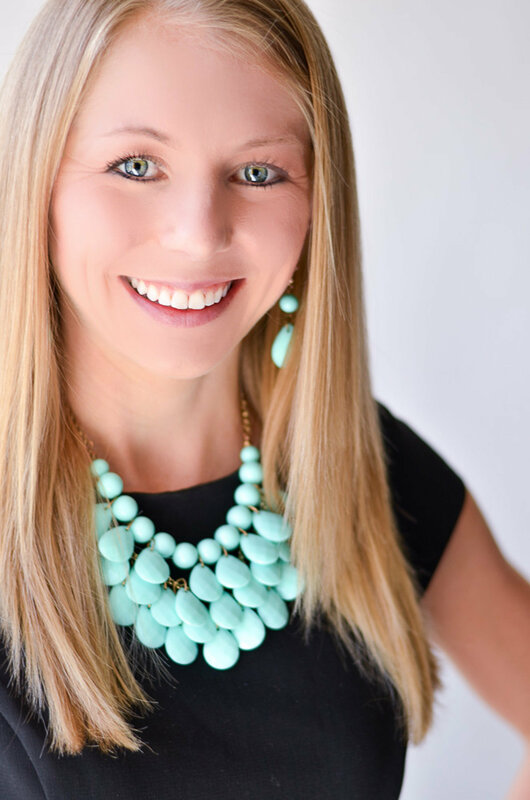 You may have read in my post on the “BDD Rule” that one of my simple tricks for eating healthily at restaurants is to (usually) avoid the bread basket. Aside from the added calories, one reason this makes even more sense is that the majority of breads restaurants place on tables are refined grains or white breads. I’m sure you’ve heard that it’s healthier to choose wheat bread over white bread when you can, but today I’m going to elaborate on the choice and help to decipher tricky food labels to make sure you’re getting the best nutritional bang for your buck. With so many diet crazes and constantly changing information sources, many Americans have been taught to be “afraid” of carbohydrates, and grains often fall into this category. Good news, I don’t think you need to be afraid of carbohydrates! 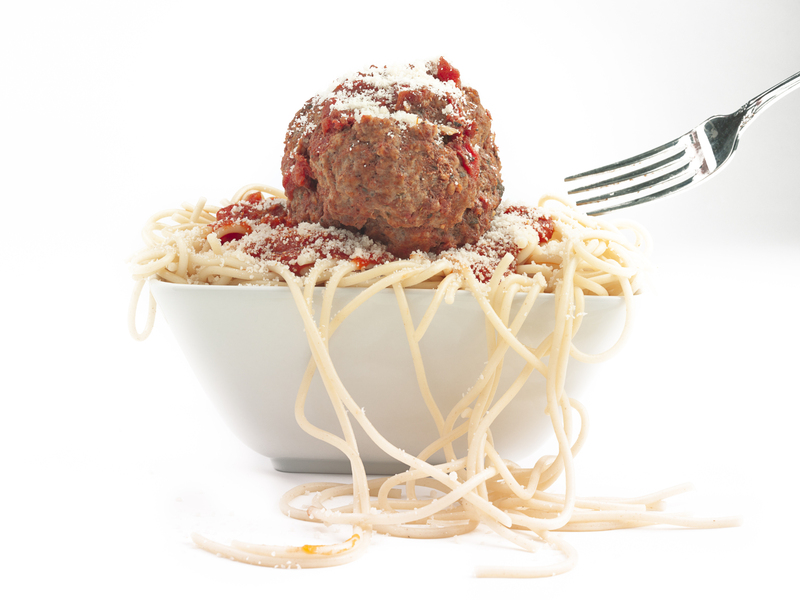 On the opposite end of the spectrum, the carb intake of many other Americans have ballooned out of proportion – the average restaurant pasta dish packs three servings! And I firmly believe that most of your carbohydrate intake should come from vegetables, fruits, and other whole foods. Like most things, I believe that balance is critical when deciding on the amount of grains to include in your diet (and you should consider your activity level and other food intake), but I always believe that whole grains are healthier than refined grains and white flour products. Many of the healthiest diets in the world (including Mediterranean and several Asian diets) rely on whole grains as a source of nutrients and energy, and whole grains can be part of a healthy diet (or even weight loss program) if consumed in moderation. One of the obvious benefits of whole grains is the increase of fiber in your diet, which can help prevent heart disease, stroke, colon cancer, and other chronic diseases, as well as Type II diabetes. In a 2007 study of over 160,000 women, participants who consumed 2-3 servings of whole grains per day were 30% less likely to develop Type II diabetes than those who rarely or never ate whole grains. (Source: Today’s Dietician, Vol. 14 No. 6). 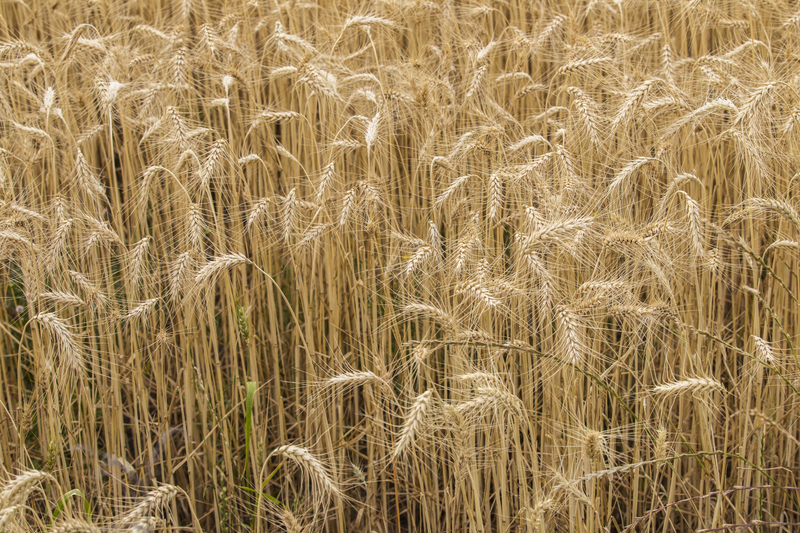 So why are whole grains better? Grains that are not whole grains (often called “enriched” or “refined” grains) have the bran and the germ of the grain removed (and only the endosperm remains). Along with the bran and the germ, almost 100% of the fiber, vitamins, and minerals found in the whole grain are also removed. If the grain is “enriched,” it often indicates that the B vitamins and iron have been added back in (usually along with sugars, fat, salt, and chemicals). Without the bran and the germ, there is no fiber to slow down absorption of the food, so blood sugar skyrockets and insulin spikes. Over time, these massive fluctuations in blood sugar can add up to insulin resistance, or even Type II diabetes (leading to the 30% statistic above). Whole grains also sustain you for longer and don’t cause you to crave more carbohydrates, which is why in a 12-year study of 70,000 nurses reported in the American Journal of Clinical Nutrition, those who ate more whole grains weighed less than those who ate less whole grains. Even though Americans consume only 11% of their grains as whole grains today, consumption is on the rise (and grew 20% from 2005 to 2008!). Fortunately, products with whole grains are becoming increasingly popular after the influx of refined and processed grains of the 1990s – in 2010, almost 20x as many new whole grain products were introduced worldwide as in 2000. Unfortunately, though, this leads to confusion – we can often think we’re getting whole grains when the packaging is actually deceiving us. 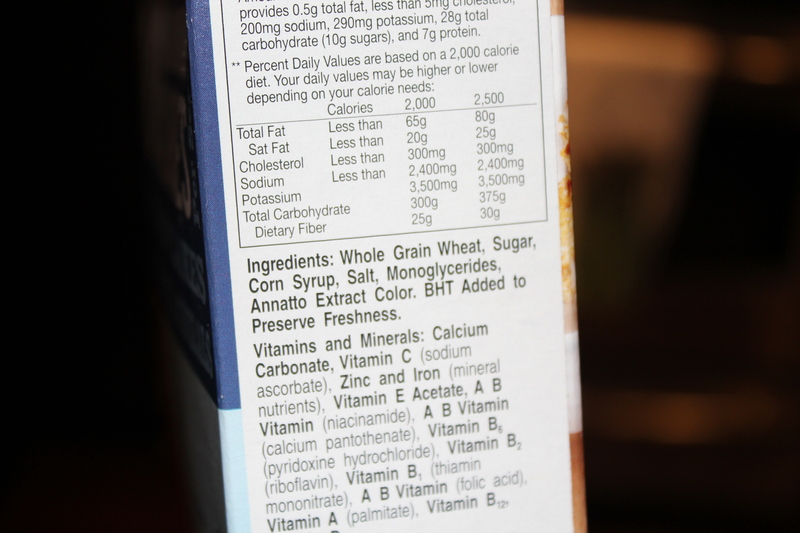 Even products like fruity, sugary cereals can have “made with whole grains” on the front, so be sure to check the ingredients! Here are a few examples … can you spot the healthier ones and the not-as-healthy ones? 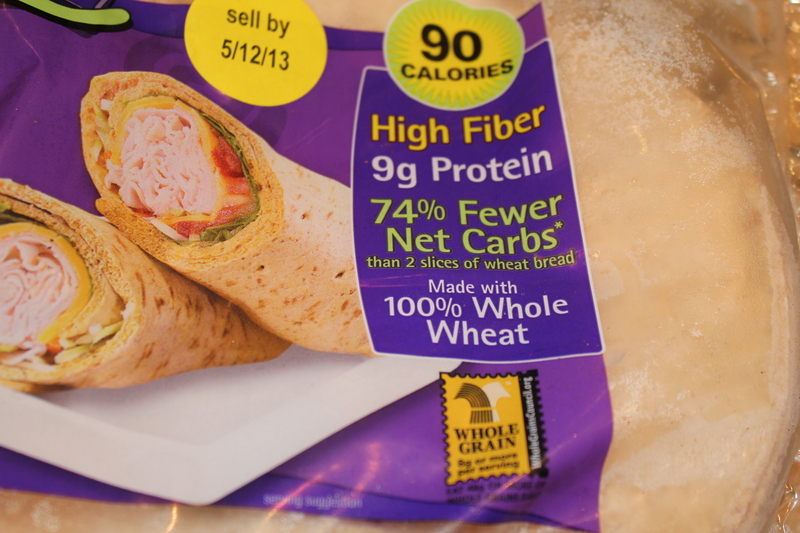 Flat Out wraps … “100% whole wheat” is a good thing! 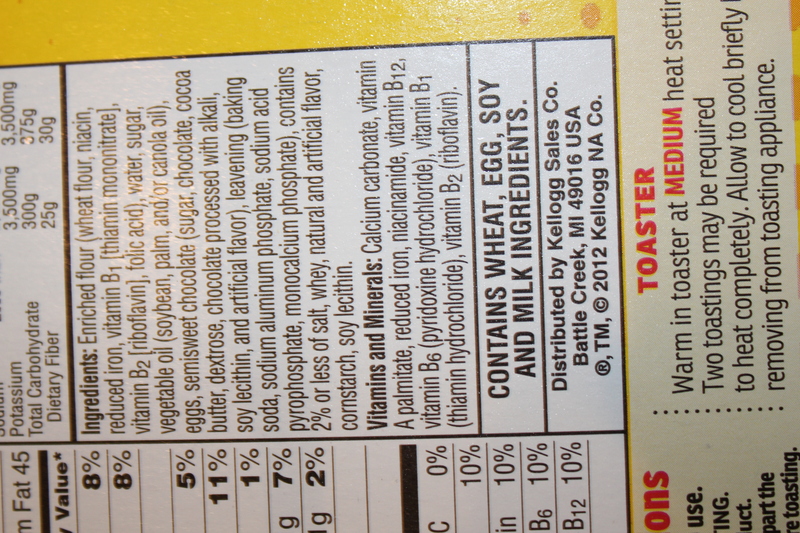 Flat Out ingredients … WHOLE wheat flour is #1 (after water), which is excellent, but YIKES, what a long ingredient list! 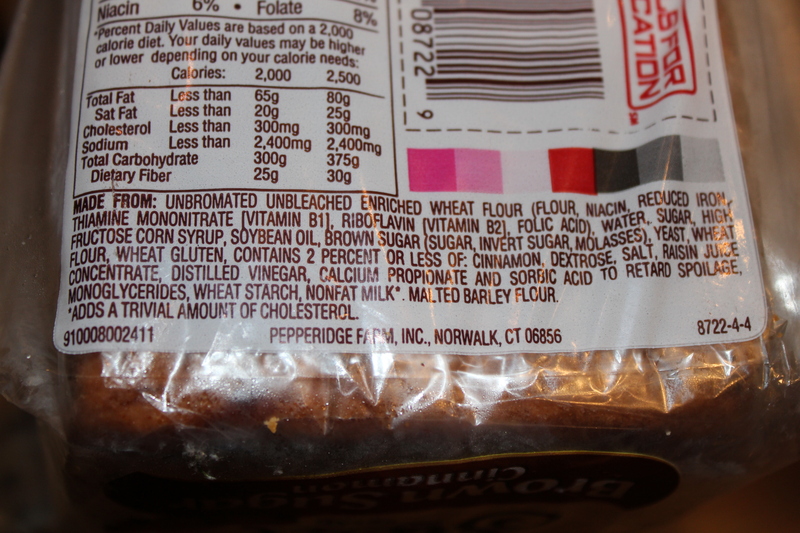 …and “whole grain wheat” on the back. 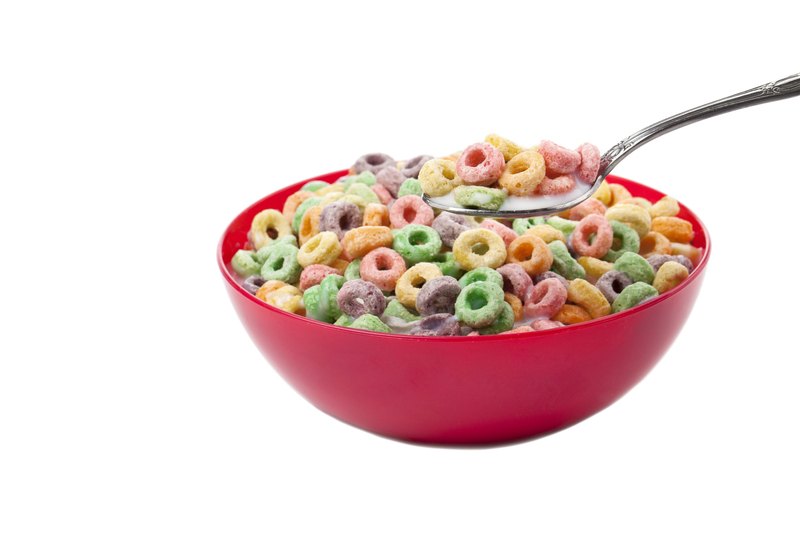 Don’t love that sugar is #2, but at only 5g per serving, it is less than many other cereals. 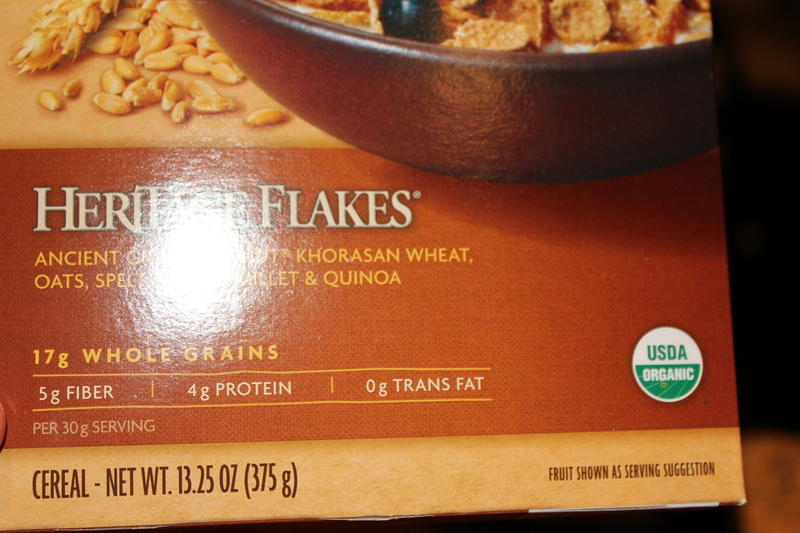 Heritage Flakes … 17g of whole grains per serving! 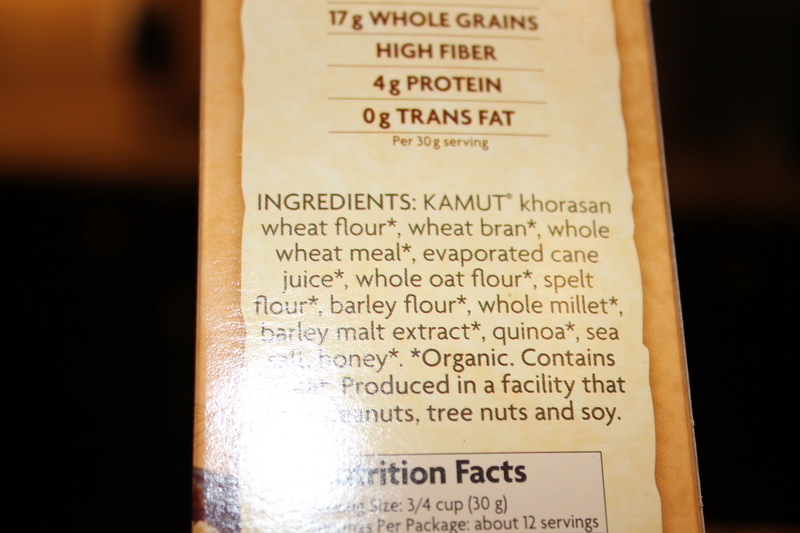 Kamut, wheat, oat, spelt, barley, millet, and quinoa … a whole grain lovefest and healthy option if you tolerate gluten. 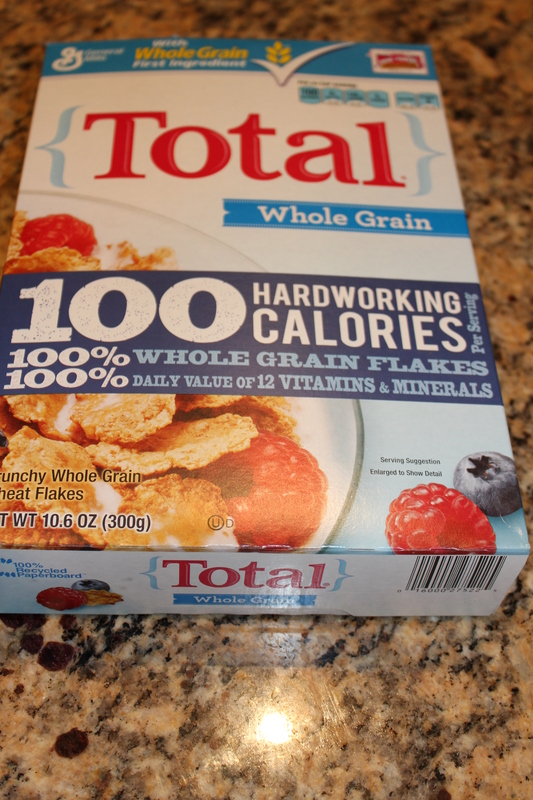 “Unbromated unbleached enriched wheat flour” … no thank you, even if it says “wheat flour” on the front! 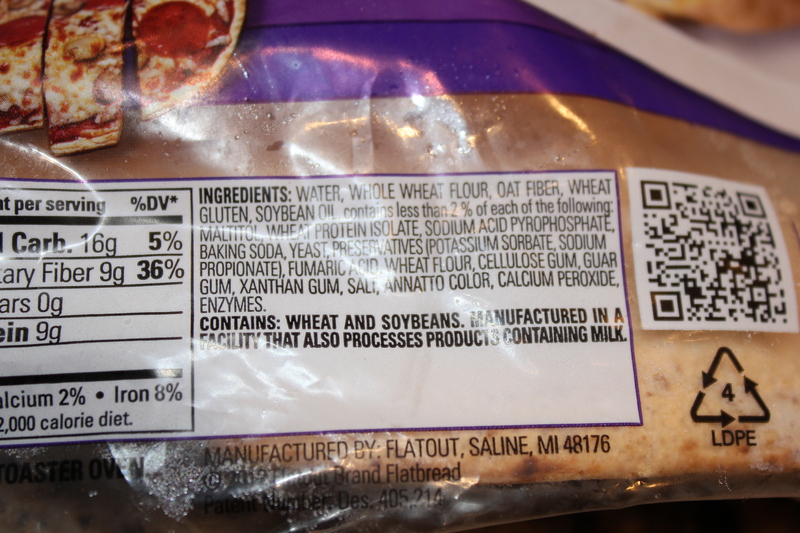 “Enriched flour” … take a pass! Tell me in the comments … do you choose whole grains over refined grains? What’s your favorite whole grain product?